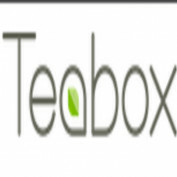 Teabox as a brand is a perfect blend of the old and the new. Every tea lover understands that tea is best when it is fresh from the gardens, to accentuate the same freshness, we stepped in to bring forth the much needed innovative tea specific supply chain mechanisms and innovations for timely delivery of tea all over the world. And that too without compromising on the impeccable flavor, irresistible essence and the ever soothing taste.